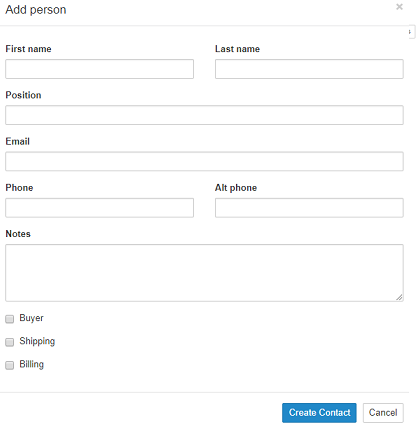 Your Buyer can define contacts within their company (or update existing ones if someone leaves) for roles such as Billing, Shipping or additional Buyer accounts within their organization. 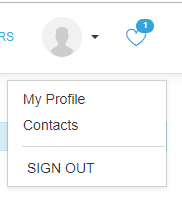 Then, they will click "+ Contact" or "+ Address"
If they deselect and/or add additional addresses, they will be able to click on "Make shipping default" or "Make billing default" for any one of them from their main Contacts/Address screen without having to go into Edit mode. These are automatically added to the Contacts>Customer database for your Buyer's company. And, will be associated with every order submitted by this Buyer unless changed. Please note the "Accepted" indicates the one you approved as a Buyer. 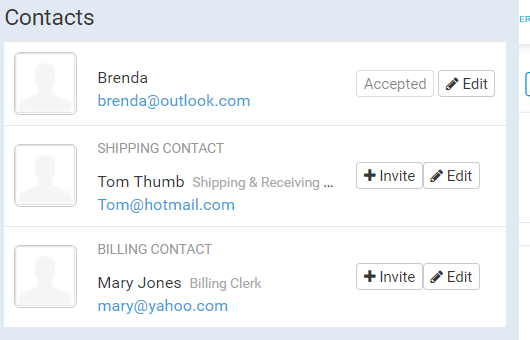 The other two contacts can be "Invited" to be "Buyers" if you want. Or, perhaps you just send them documentation for invoices and shipping & receiving documents without giving them "Buyer" access. For additional information on Customers & Contacts, see our Customers Setup Profiles Knowledge Article.